So I downloaded aisleriot from USM, had USM resolve dependencies, and created a module with the app and the dependencies. 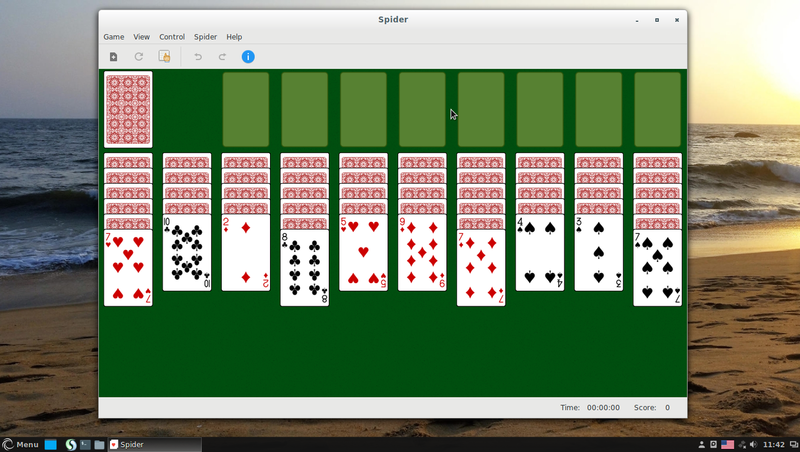 Clicking on the Menu's Games AisleRiot Solitaire link produces nothing. updatedb: fatal error: You are not authorized to create a default slocate database! I now have 2 don.xzm modules! hmmm question. When I start AisleRiot it opens a Klondike game. Your screen shot shows a Spider game. How do I change the game?